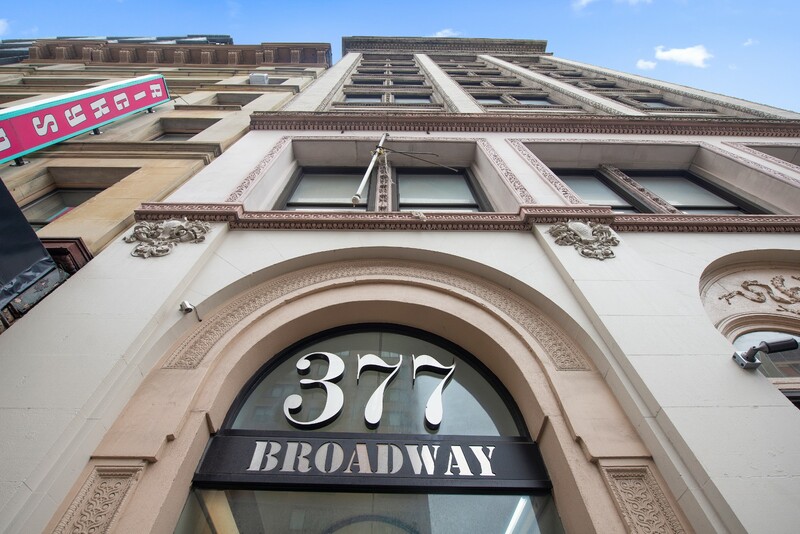 377 Broadway is a prime corner property located on Broadway, two blocks south of canal street, in the heart of TriBeca. The property spans 14,755 square feet, which is distributed between main, mezzanine, and basement levels. This space which has been fully renovated features high ceilings, great foot traffic, exposure and is move in ready and can be delivered with a tenant in place or vacant.The building at 377 Broadway, Canal Street, New York, NY 10013 features beautifully decorated exteriors with ornate European-style stonework carvings and moldings, high arched windows and imposing doors painted in dark colors. Its an elegant and inviting mellow sandstone facade from the 1920s, reminiscent of Mr. Selfridges London store ambitions. © 2019 Real Estate Board of New York. All rights reserved. The data relating to real estate for sale on this web site comes in part from the Internet Data Exchange Program of REBNY. Real estate listings held by IDX Brokerage firms other than Tawil & Team are marked with the Internet Data Exchange logo or the Internet Data Exchange thumbnail logo and detailed information about them includes the name of the listing Brokers. Information provided is deemed reliable but not guaranteed. Data last updated: Wednesday, April 24th, 2019 at 05:50:32 AM. Listing courtesy of KWNYC Midtown.